I am really enjoying reading R. T. Kendall’s brilliant book, The Anointing . He mentions the Professor of Preaching at Southwestern Baptist Theological Seminary in Forth Worth, Texas, who had an eccentric habit of cupping his left hand over his ear when he began to soar in his preaching. Young ministers all over Texas and Oklahoma cupped their ear with their left hand when they thought they were soaring on the wings of eloquence. They thought they had the anointing. One could always tell his students, Kendall says. I saw this recently. Heidi Baker has a highly original preaching style, original to the point of extreme eccentricity (see here). She bends sideways as she preaches, as if pushed, says things like Shika Baba or Shazaam. Apparently, she is being overwhelmed by the power of the Spirit (and the words are glossolalia or an African dialect). Well, I would never second-guess the wonderful Heidi who I have deep respect and affection for. But at this Revival Alliance conference I went to last week at which famous charismatic leaders spoke (John Arnott, Bill Johnson, Randy Clark, Che Ahn etc.) I saw two women imitate that mannerism—the swaying sideways as if pushed by the spirit, the breaking into prayer and praise in the midst of preaching. Most annoyingly, the adult child of one of the speakers did it during announcements. “Whoa,” she said, and bent sideways, as if overwhelmed by the Spirit, while making quite pedestrian announcements. Would the Spirit really manifest in the same way to all these women? Who knows? 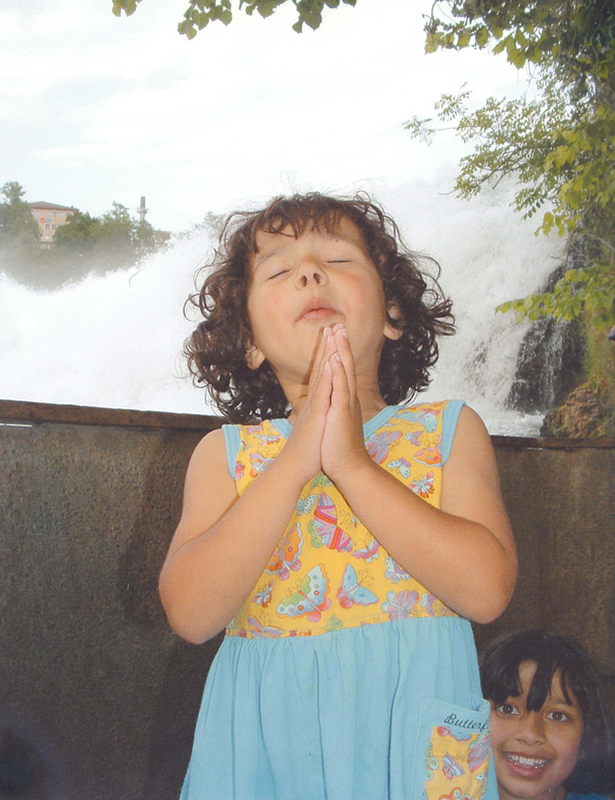 I taught my children to pray at a time when my own life was very difficult. My husband was consumed by his mathematical research; we had babies; things were volatile. So, when I came to pray, I first sighed deeply, exhaling the sadness, the stress, the tiredness, and the helplessness. And then when it was the turn of little Zoe and Irene to pray—they couldn’t have been more than 3 or 4—they would first sigh, deeply and exaggeratedly, and then pray. They obviously thought that that was how one prayed—you sighed deeply, you exhaled!! You said, “Oh Lord,” in an exhalation of exhaustion!! Well, perhaps we were being theologically correct. Romans 8: 26 In the same way, the Spirit helps us in our weakness. We do not know what we ought to pray for, but the Spirit himself intercedes for us with sighs and groans that words cannot express. 27 And he who searches our hearts knows the mind of the Spirit. I see that in the blogosphere. Ann Voskamp has a highly original style, with much contortion of grammar. Since she is an original, a stylist, an accomplished writer with the ear of a poet, her stylistic contortions are not jarring. What is irritating is when bloggers who lack her stylistic flair imitate her ungrammatical contortions and her style. Since it doesn’t fit into the texture of their pieces, it merely seems odd. There are lots of original bloggers—Sarah Bessey, let’s say or Rachel Held Evans. But sometimes, when I read through the blogs of those I follow on Facebook, I am amazed by how many are similar in style, subject matter and preoccupations. Imitation brings quicker success because we are working in a popular vein. It however militates against long-term success because we never discover our unique voice, style and preoccupations. They wear out their bodies and minds in a hopeless endeavour to have somebody else’s experiences, or write somebody else’s poems, or possess somebody else’s spirituality. ( Thomas Merton, Integrity, New Seeds of Contemplation ). I have a very prolific writer friend whose output I admire immensely (in quantity, not quality). It's always been a challenge to adopt her great work ethic and work habits, while remaining myself–dreamy, a bit lazy, reflective, sedentary. She says that if we could morph both of us together, her productivity and work ethic and research habits, and my writing style and reflectiveness, we'd be an amazing writer–but that can't be done, I guess, so the world will have to have two of us. Just had a conversation about this very thing last night with hubby. He's missing his dad terribly and so has been chewing and plotting and scheming to start up the work his dad used to do. My hubby is not at all gifted in those same areas, but is incredibly and amazingly gifted in other areas…they just don't produce the same tangible result as his father's gifts. It's hard sometimes to escape the lure of imitation when trying to honor someone's memory. God made us so differently for a reason…He never does anything wrong…so why do we (as the human race in its entirety) spend so much time trying to conform and punishing non-conformity? There is a huge difference between living in cooperation and living in conformity. And there is another chasm between adopting a good habit from someone you admire and imitation. I believe that adopting good habits from one another is essential to our spiritual health, but then we have to own those habits and morph them into our own personal expression, not imitate directly.